On Wednesday the American Athletic Conference announced the schedule pairings for the 2016-17, 2017-18 seasons. 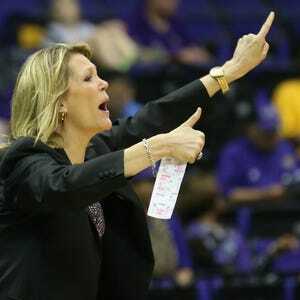 On Wednesday, the American Athletic Conference announced the schedule pairings for the 2016-17, 2017-18 seasons. UCF will only face its in-state rival USF once this season. However, the Knights will host the four-time reigning NCAA champion UConn Huskies at home in the CFE Arena. The 11 members of the AAC will play a 16-game schedule. All of the teams will play six of the 10 opposing teams twice, and four opponents once each — two at home and two on the road. Each school in the conference will play the same home-and-home opponents over the next two seasons in this scheduling model. In the Knights single-game pairings for 2016-17, they will be hosting UConn and Temple, and they will travel to USF and Tulane for road matchups. The home sites will flip in 2017-18. In August, the complete 2016-17 women’s basketball regular season schedule with the dates and times will be announced to the public. For the second straight season, the 2017 American Women’s Basketball Championship will be played at the Mohegan Sun Arena in Uncansville, Conn., from Mar. 3-6. Deposits are currently being accepted for the 2016-17 season. Anybody who purchases a season ticket for men’s basketball will automatically receive general admission season tickets to women’s basketball.